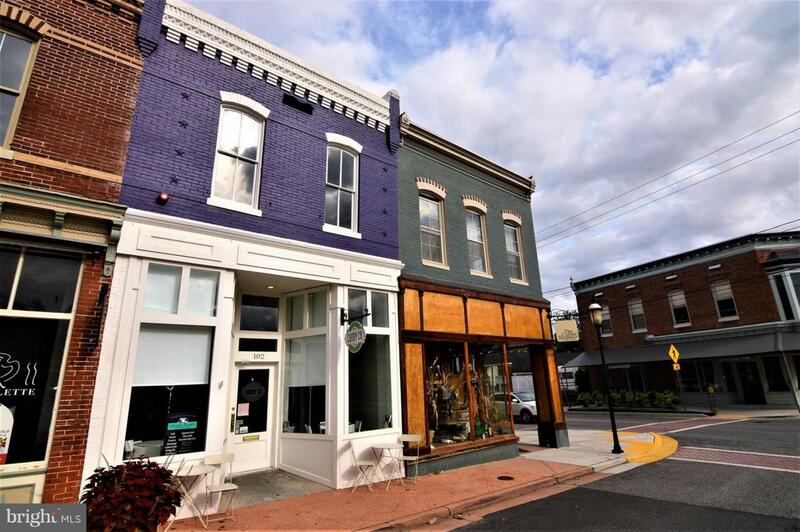 Beautifully Renovated Storefront and Apartment located in Historic Downtown Snow Hill MD. This Late 1800's Storefront was stripped completely and Renovated from the new sub-structure to the new roof and everything in Between, New Electric, Plumbing, HVAC, Flooring, Lighting, Windows and Doors. The Two Bedroom Apartment above features 9' ceilings, Wood floors, Granite Counter tops, Stainless appliances, an elegant Bathroom with Tiled shower enclosure the list just keeps going. Perfect location for a business owner to live above there operation in complete comfort. a Historic location with all the work done for you. Or rent the apartment to provide additional income. Retail Storefront currently features successful THE OLD TOWN CANDY COMPANY, this business can be purchased also to continue a Fun, Community Loved business with a proven concept for success.